College can be expensive. The average college student will need to pay back at least $35,000 after graduation. One of the major benefits of trade school is that programs take less time to complete and cost less than four-year colleges and universities. However, technical training programs are still an investment. Following are ten tips to help you finish school without falling into debt. Have some form of income while in school can help pay off any mounting student debt. Vocational schools like The Refrigeration School offer flexible class scheduling, allowing you to work full-time or even part-time while you learn. If it’s possible to plan ahead, start saving early to ease the cost of attending a technical school. When selecting a savings account, compare interest rates of plans and choose the type with the highest return rate. You may want to consider using a 529 plan, which is run by state and educational institutions to help people set aside finds for school. Scholarships and college aid grants are not limited to university students. If taking HVAC courses or electrician training courses, you could still be eligible to receive financial aid towards your certification. Trade unions are one place to start searching for scholarships you may be eligible for. School-specific scholarships are another possibility to research. Many scholarships and grant programs rely on data compiled by a student’s Free Application for Federal Student Aid (FAFSA). An increase or decrease in your income can change your eligibility for financial aid, grants, and tax credits depending on your income level. Check with the financial aid office of the school you plan on attending or are currently attending. Some employers may help you pay for furthering your education. For instance, if you work at a power plant getting mechanical maintenance training to enhance your role on the team. Discuss the terms and requirements with your employer prior to enrollment to guarantee you’re clear on their expectations. Credit card debt can undermine any of your financial goals. Credit card companies penalize for late payments and may even raise interest rates. Federal student loans have several repayment plans based on your financial need. The U.S. Department of Education offers a loan repayment calculator tool on its website to help borrowers estimate their monthly bills and the anticipated payoff date for their debt. Defaulting on a student loan means you will pay late fees and sent to collection. Your credit report will be negatively affected which can prevent you from buying a house, a car, or renting an apartment. 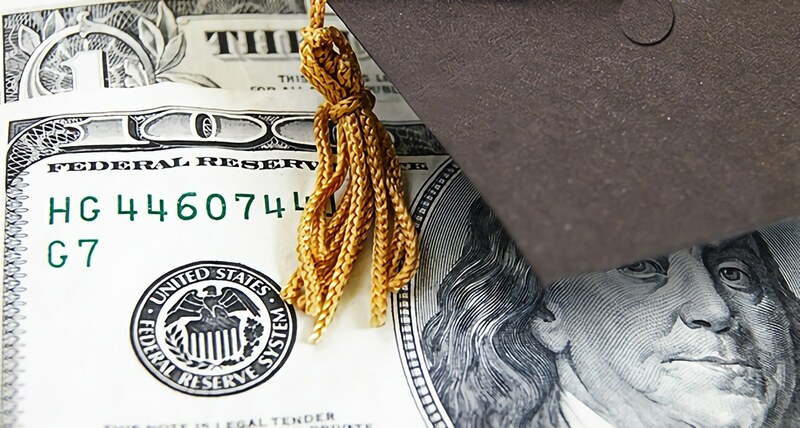 Consolidating multiple student loans can save you money by lowering your monthly payments. However, you should check all of your options before considering this. While in school, you may want to limit unnecessary expenses such as dining out often, expensive entertainment, and vacations until you have paid a significant amount toward your debt. An important point to remember is that accumulating some amount of debt is expected as you prepare for your new career. Once you finish your program, you’ll have new job opportunities and can work toward paying off any student debt – a benefit of choosing an in-demand career in HVAC/R.